Today’s post is all about the differences between round-trip and one way Alaska cruises. Read on to learn which cruise is right for you. 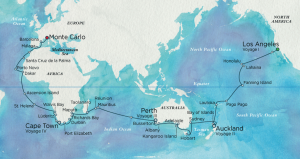 Why the different types of cruises? Simply put, cruise lines have to abide by the Passenger Vessel Service Act, sometimes erroneously called the Jones Act. 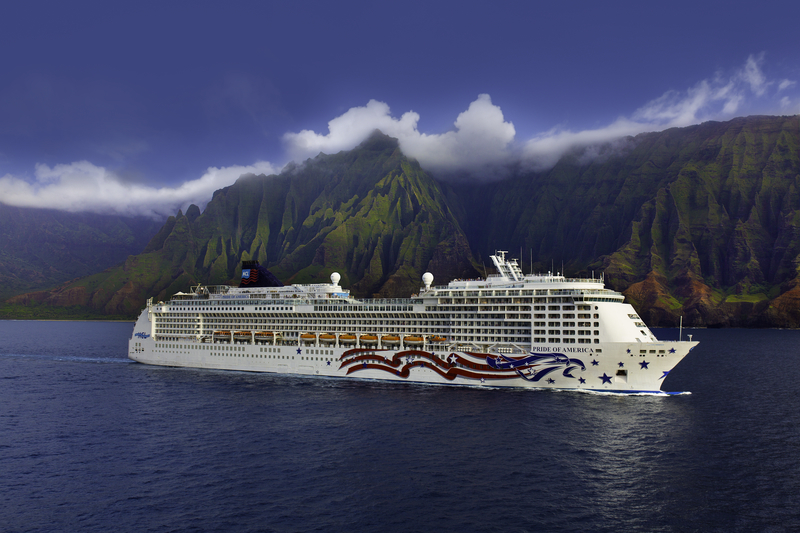 We touched briefly on the PVSA in our post on Hawaii cruises, but essentially the PVSA means that cruise lines have to visit a “distant foreign port” if doing a closed loop cruise. Closed loop is just a fancy term for a round trip cruise; the cruise starts and ends at the same port making a full loop. Seattle is much closer to Canada than Anchorage is, so ships can easily leave Seattle, visit a port in Canada (often Victoria, British Columbia), and return to Seattle on a 7 night cruise. 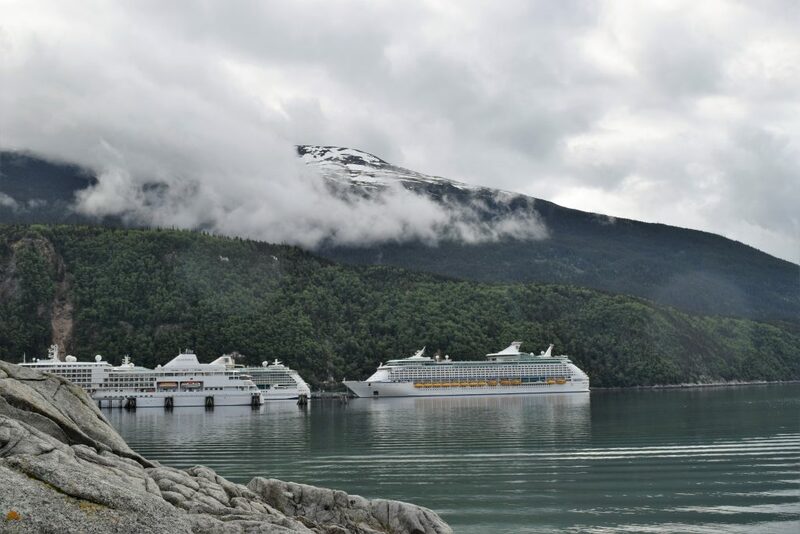 Cruises departing from Seward (or Whittier) Alaska, on the other hand, cannot. Therefore, these cruises have to either be 14 nights, or a one way cruise that does not start and end in a US port. The main difference right off the bat is of course the departure and arrival ports. 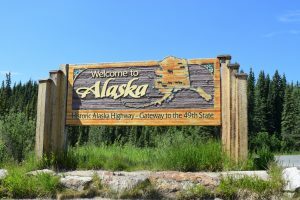 One way Alaska cruises also often visit more ports than their closed loop counterparts, in part because they don’t have to budget time for the return trip. The two cruises also share many ports of call, but also have a few different stops, and the prices can be quite different on the two cruises as well. 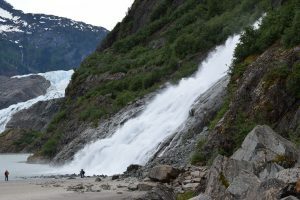 Both closed loop and one way Alaska cruises often stop at Juneau, Ketchikan, and Skagway and include a “glacier experience”. 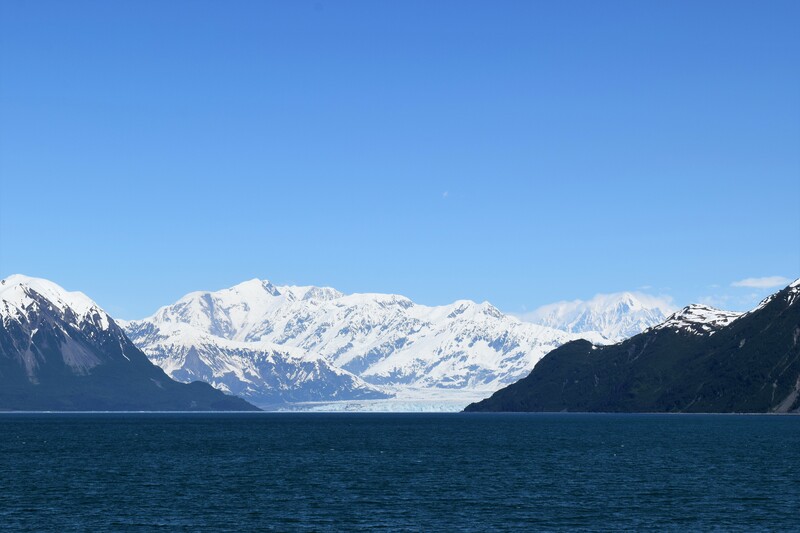 Cruises from Seattle often visit Glacier Bay, although some will visit Tracy Arm Fjord, Sawyer Glacier, or Hubbard Glacier. Seattle cruises also typically visit Victoria, British Columbia, often for a very short stop. This stop is pretty much just to meet the PVSA requirements, and it isn’t unheard of for a ship to only be in Victoria for a couple hours. One way Alaska cruises can often visit Icy Strait Point, also called Hoonah. 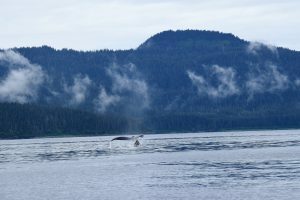 This native village has arguably the best whale watching of the typical Alaska ports, but is rarely visited by Seattle based cruises. 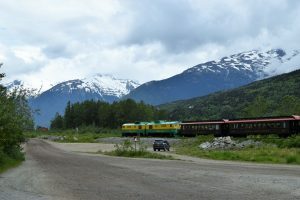 The departure/arrival towns of Seward or Whittier are also not often visited by Seattle cruises. 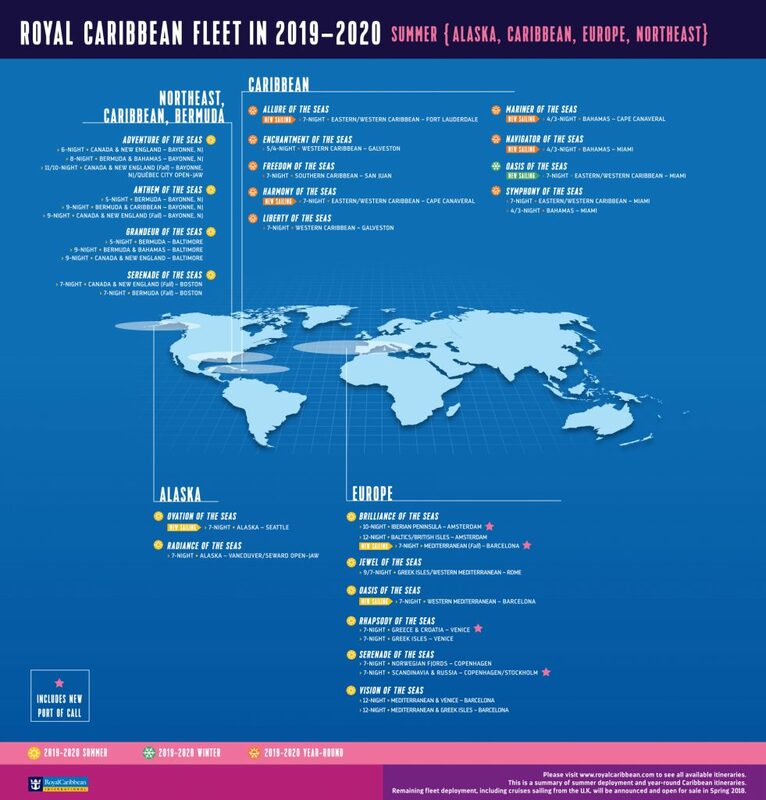 Like we mentioned yesterday, both Norwegian and Royal Caribbean have big ships coming to Alaska. Both of these new ships will be sailing round trip from Seattle. Seattle is just able to handle much larger ships, so this will likely be a trend we see continuing. This is not necessarily a good or a bad thing. We absolutely love sailing Alaska on the Radiance of the Seas, a much smaller ship with a lot of viewing space. 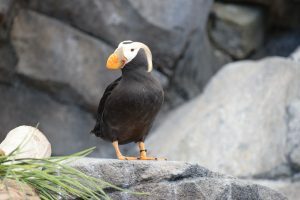 We will discuss cruise tours in more detail on Friday, but only the one way Alaska cruises offer a land portion option. 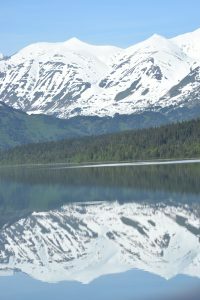 These cruise tours add a few extra days onto the Alaska end of your cruise for a guided land tour. 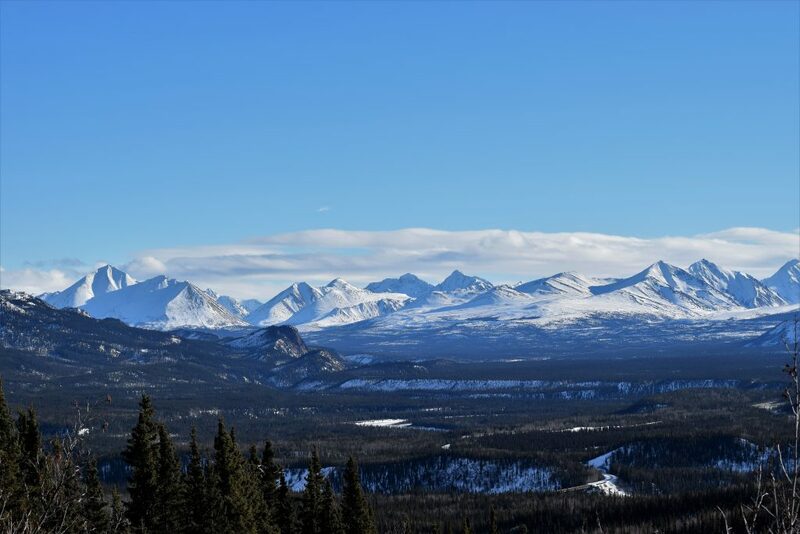 The exact tours vary, but often they take time to visit Denali National Park and a few other areas around Alaska that can’t be reached by ship. This is always a concern of cruisers, but is the hardest to really pin down. 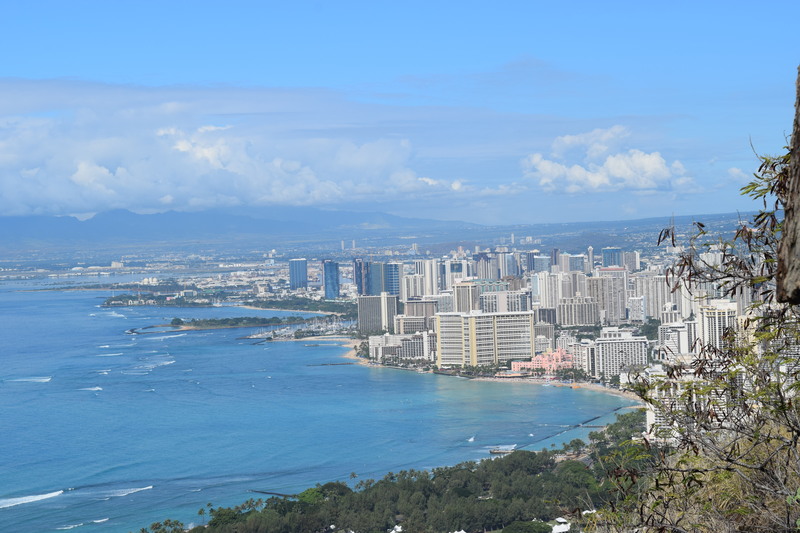 The one way cruises are often quite a bit cheaper than their closed loop cousins, but at the same time airfare is often cheaper for a round trip flight to Seattle. 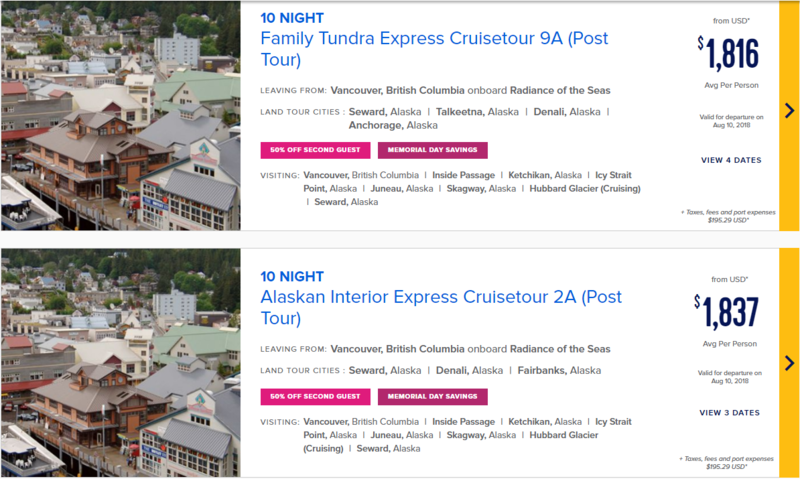 On the one way Alaska cruises, you have to purchase two one way plane tickets since your cruise does not start and end at the same place. 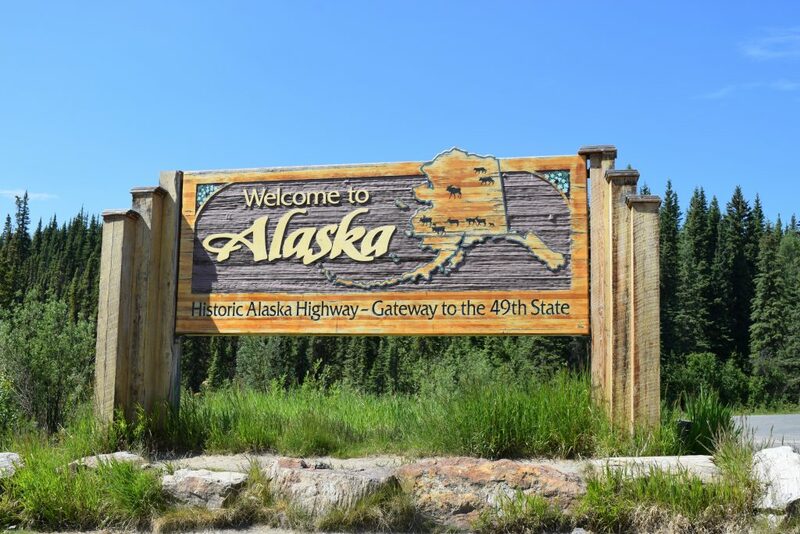 Flights to Anchorage are often more expensive than flights to Seattle, and since the port is not actually in Anchorage, you also have to pay for transportation between Anchorage and Seward or Whittier. Our personal favorite method of transportation to the port is the Alaska Railroad, and in my opinion that is well worth any additional cost. 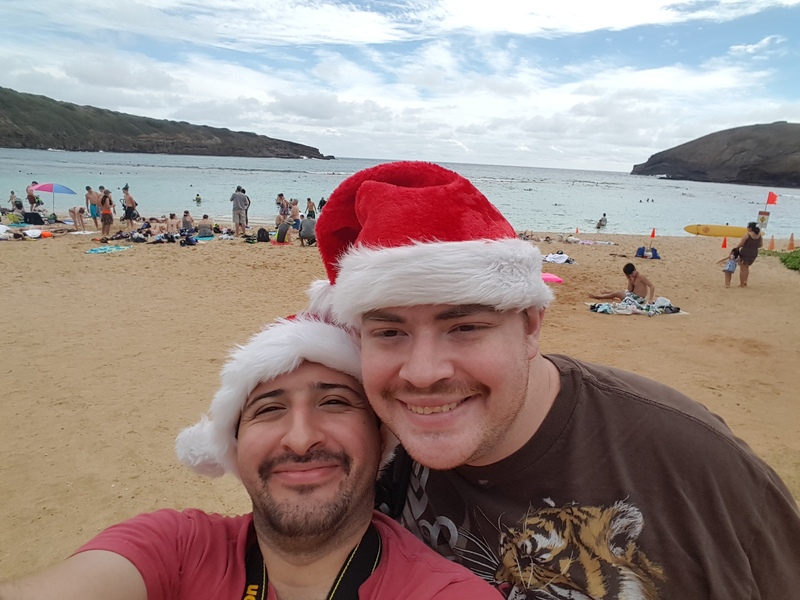 The exact costs of cruise and airfare can vary widely from cruise to cruise, so make sure you reach out to us to figure out what your best bet would be. 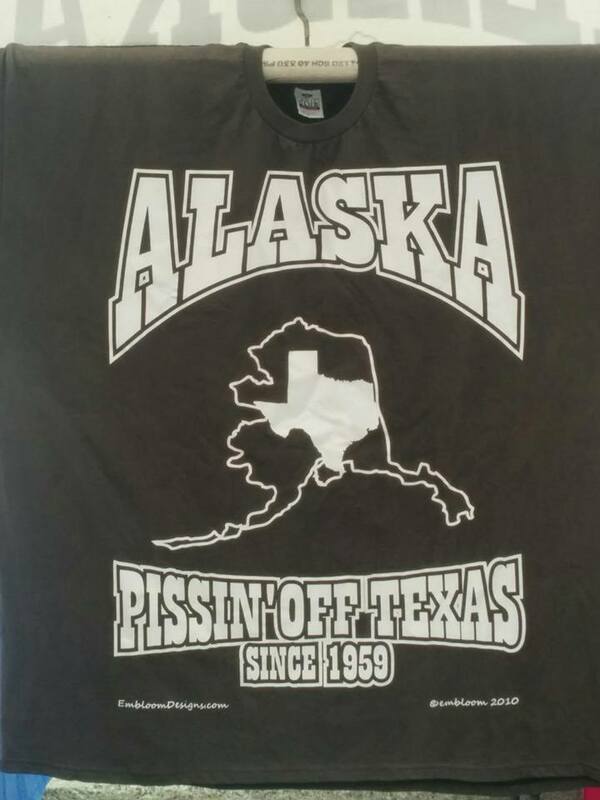 Today’s post is all about the changes coming to Alaska. 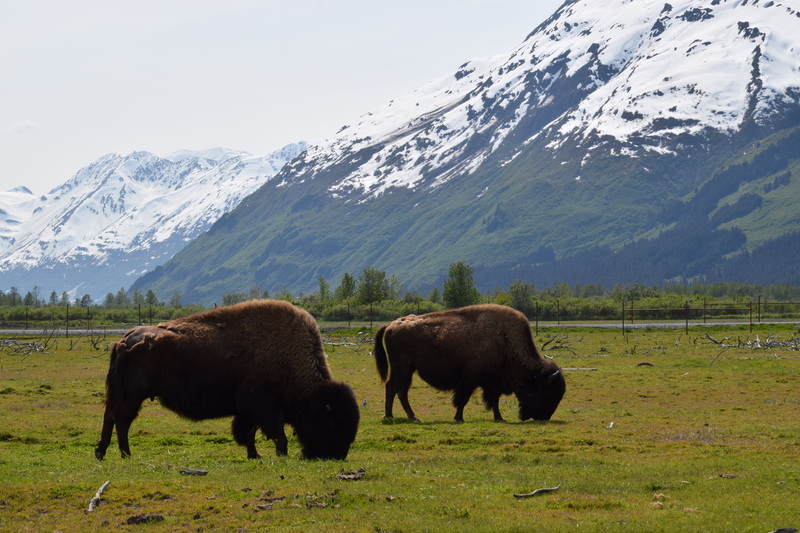 Read on for some of the new experiences, ships, and ports coming to Alaska for the 2018 and 2019 cruising season. 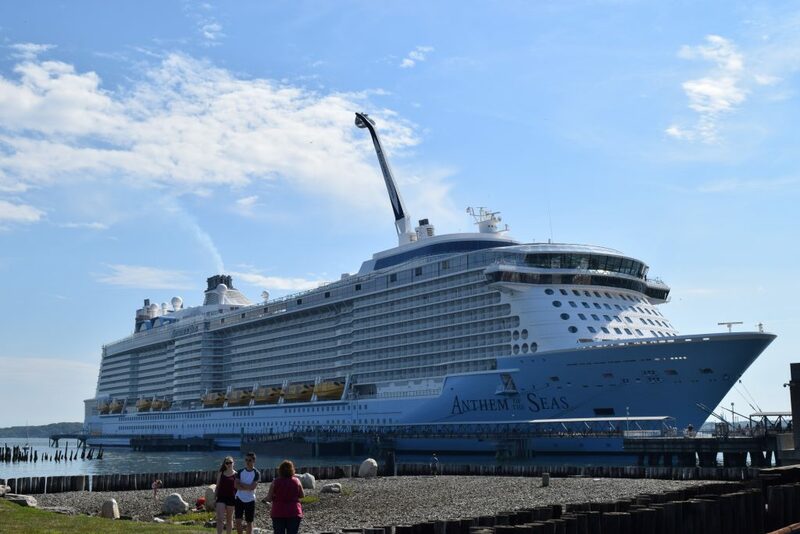 Both Norwegian and Royal Caribbean are sending some of their biggest and newest ships to Alaska. 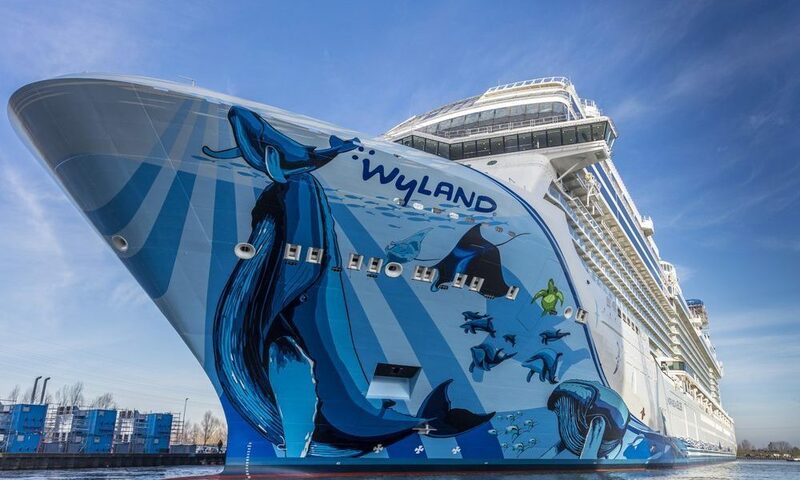 Norwegian Bliss is a brand new ship that was just delivered to Norwegian Cruise Line last month. At 168,000 tons the Bliss is Norwegian’s largest ship, and she is already in Alaska. The Bliss is a great ship for families as well as active travelers. 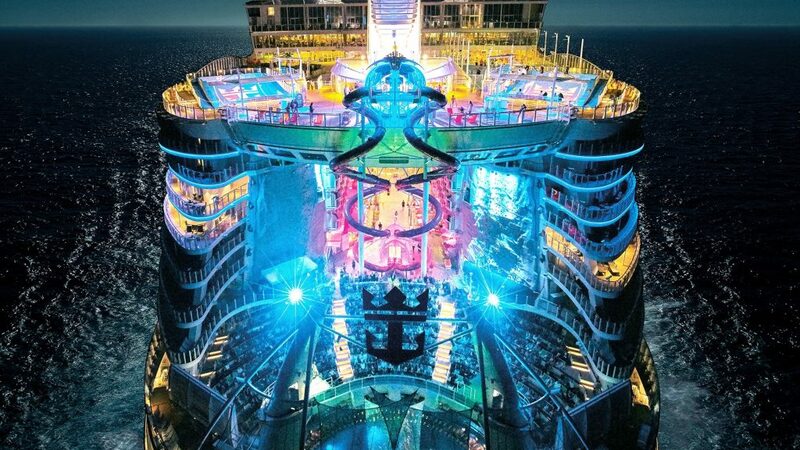 The ship has a massive water park and a two deck high go-kart racing track. In another first for Norwegian, the Bliss has a modern Texas style BBQ restaurant that will feature live country music. That’s music from the second biggest state, playing on cruises in the biggest state, on board Norwegian’s biggest ship. That’s a lot of bigs! For 2018, the Bliss is the largest ship to have ever sailed Alaska cruises from any line, but not for long. For the 2019 cruise season, Royal Caribbean will take the crown for largest ship in Alaska when Ovation of the Seas arrives in Seattle. Ovation of the Seas is part of Royal Caribbean’s Quantum Class, and is just slightly larger than the Norwegian Bliss. 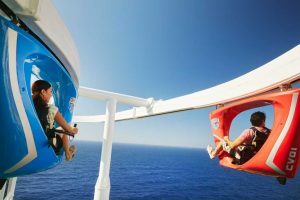 Ovation of the Seas also has some great attractions on board, including the iFly Indoor Skydiving and North Star. The North Star a large glass pod that extends 300 feet above the ship and offers stunning 360 degree views of your surroundings. 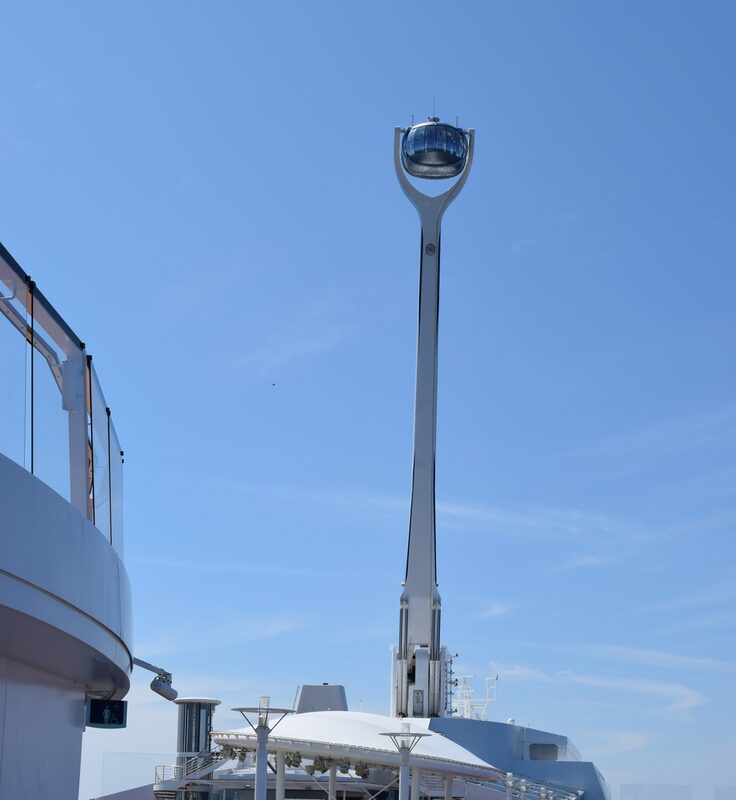 This pod officially holds the record for “Highest Viewing Deck on a Cruise Ship” and will be a welcome addition to Alaska cruises. Both Bliss and Ovation can carry over 4,000 passengers on average with almost 5,000 passengers at maximum capacity. This is nearly double the amount of passengers on other ships sailing Alaska, so there can be some crowds in port when these ships are docked. We have already discussed how Holland America is the only cruise company docking in Anchorage this season, but there are a few other port changes as well. 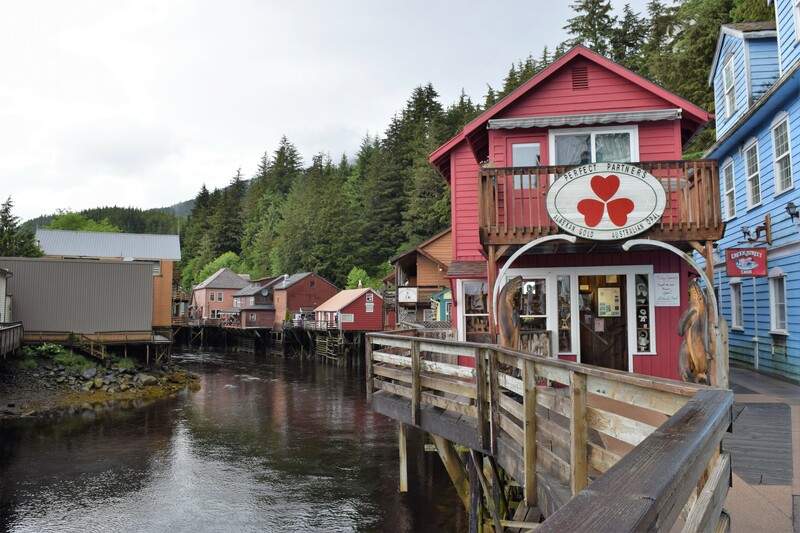 Several ships will be adding Ketchikan to their list of stops, including the Carnival Splendor which will visit Ketchikan only once in 2018; the final stop on a 14 night round trip cruise from Long Beach, CA. Windstar’s Star Legend represents Windstar’s return to Alaska after being out of the region for the past 20 years. The all-suite ship is kicking off the all new Signature Expeditions Program. This program takes cruisers closer than ever to Alaska with zodiac and kayak tours of the coastline. 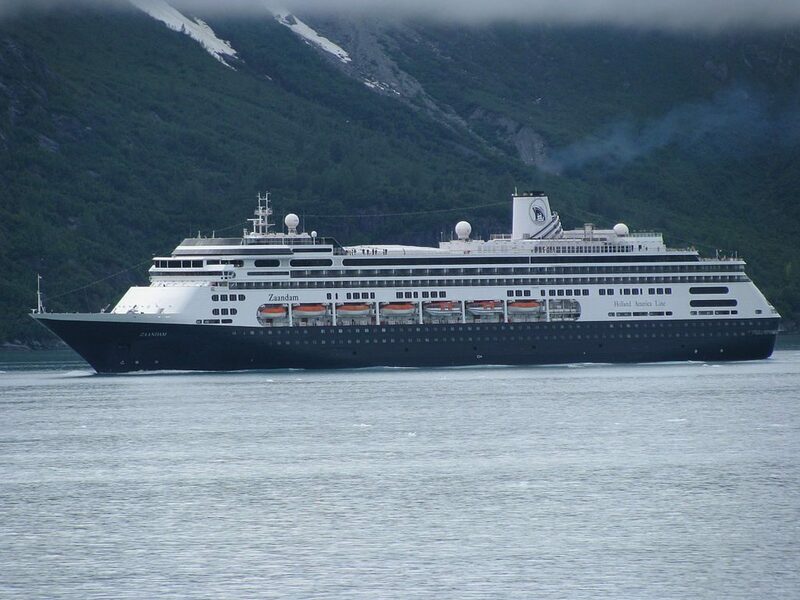 On Monday, May 14 Holland America’s Zaandam became the first ship to dock in Anchorage, Alaska for the 2018 cruise season. The MS Zaandam is currently on a 14 day “Great Alaskan Explorer Cruise” from Seattle, and will be returning to Seattle on May 21st. The other ports that Zaandam stops at on this cruise include Ketchikan, Juneau, Icy Strait (Hoonah), Homer, Kodiak, Sitka, and Victoria, British Columbia. If you are not familiar with typical Alaska cruise itineraries, this is a very special itinerary, and one that the Zaandam will be repeating 10 times throughout the 2018 cruise season. She is the only commercial cruise ship that will visit Anchorage at all in 2018. 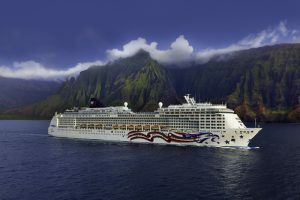 This surprises a lot of people; not only because Anchorage is the largest city in Alaska, but because often other cruises are advertised as departing from, or ending at, Anchorage. In fact, all other cruises that have stops in the “Anchorage area”, actually dock at one of two other nearby cities. Most cruise lines, including Royal Caribbean, Celebrity, Norwegian, Azamara, and Holland America, leave from Seward. Princess Cruises, on the other hand, leave from Whittier. There are a few reasons why cruise ships have historically avoided the Port of Anchorage. A main part of the reason was that prior to 2017, the port facilities just weren’t designed with cruise ship passengers in mind. Most of the marine traffic consisted of tankers and cargo ships, and the facilities were designed around those clients. In 2017, however, the city of Anchorage finished upgrades to the port area, and accepted Holland America’s ms Amsterdam for 4 cruises in the 2017 season. Another reason why Seward is more popular with cruise ships is due to location. While Anchorage is a major city with a lot of sights tourists want to see, it is located quite far up the Cook Inlet. Seward, on the other hand, is located right on the Gulf of Alaska, a much larger and deeper body of water. 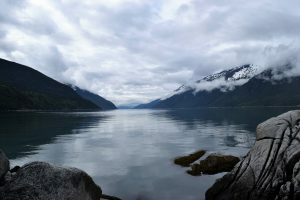 Whittier is located in Prince William Sound, but is much closer to the Gulf than Anchorage, so cruise ships are able to get on their way much quicker. 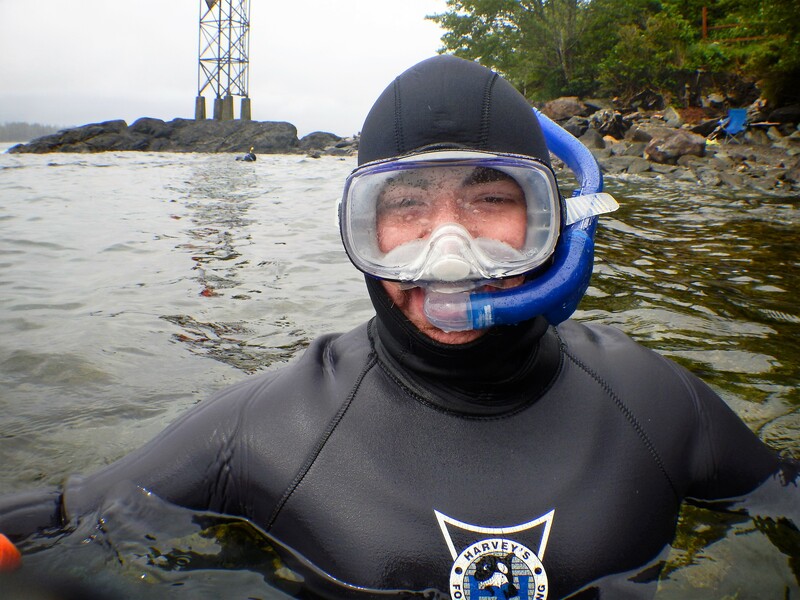 It is about 200 nautical miles from the Port of Anchorage to the Gulf of Alaska. At average speeds, this distance will take a cruise ship at least 10 hours, and often closer to 14, to transit. The ms Zaandam breaks this up a bit with their stop at Homer after Anchorage; another city in the Cook Inlet but much closer to the Gulf. 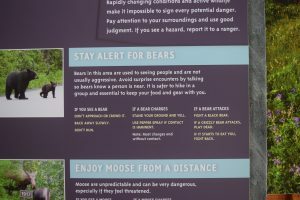 When planning an Alaska cruise, many people want to see Anchorage, so it might seem like Holland America is the best bet. 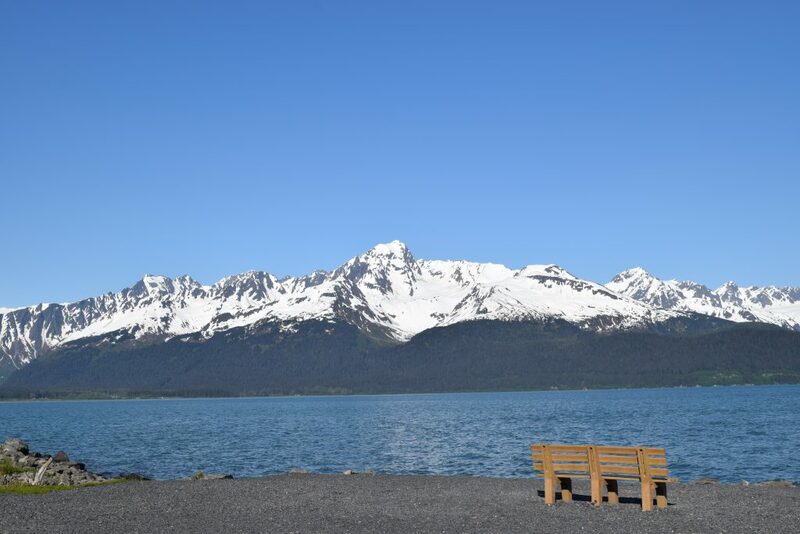 However, it is important to distinguish that while the ms Zaandam is visiting Anchorage, the cruises from Seward or Whittier will require you to fly into (or out of) Anchorage. This means that with the ms Zaandam, you have a full day to explore Anchorage, but with the shorter cruises you can customize exactly how many days you spend in the city between your cruise and your flight. 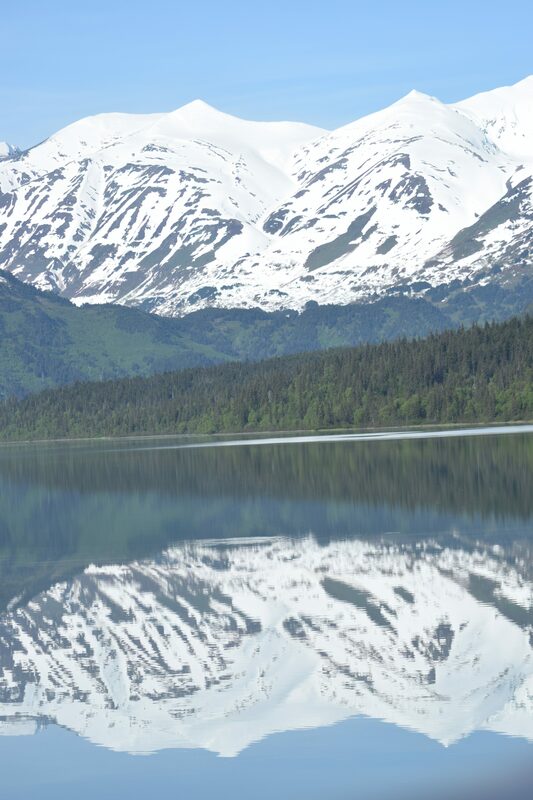 We lived in Alaska for a number of years, and would be more than happy to help you plan your perfect Alaska cruise. Now that the Alaska cruise season is in full swing, we are happy to announce that next week we will be celebrating Alaska Cruise Week. Check back each day next week for a new post about planning an Alaska Cruise. 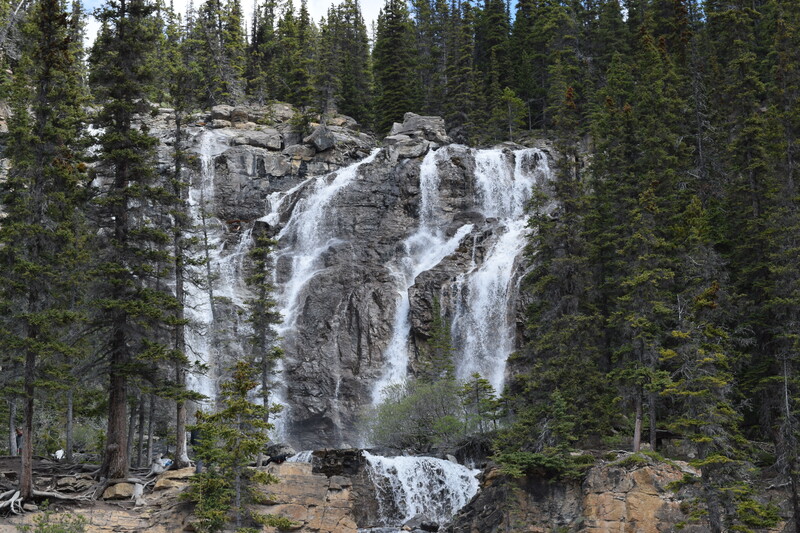 For those with an adventurous spirit, just the thought of traveling is exhilarating. Imagining what activities you will do, the foods you will eat, the sights you will see, and so on. 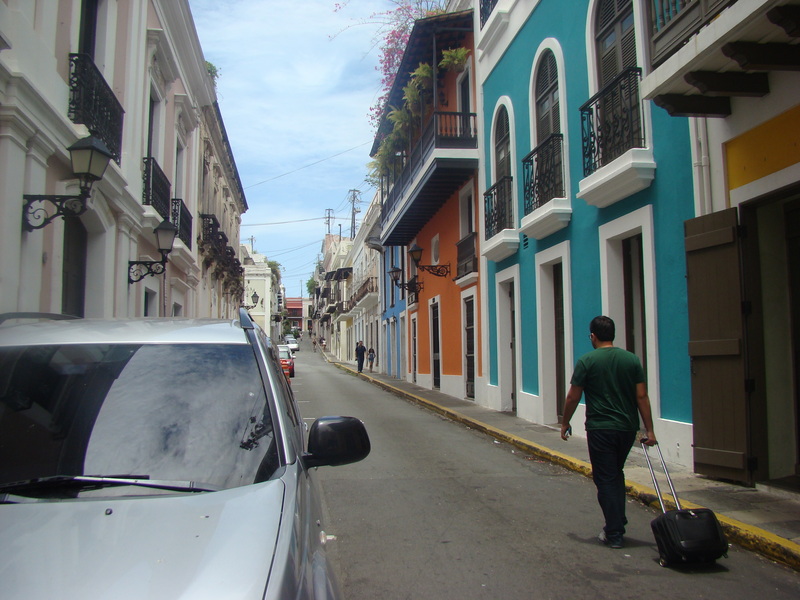 However, when traveling with others, adjustments need to be made to those plans, and the result? Compromise. 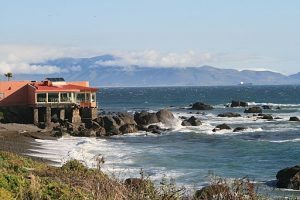 With this in mind, adjusting your perfectly imagined trip to suit the needs and desires of fellow travelers can literally take the wind out of your sails. The alternative? Traveling alone. Envision, for a moment, what it would be like to have complete control over your trip. To be able to set your own schedule; sleep in if you choose to, eat when you want, control your own budget, and be as flexible with your time as you wish. This may seem to be selfish at first, and also a bit frightening if you’ve never considered solo travel, but spending time alone can actually be very healthy. It allows you time for self-reflection, discovering who you are and what goals want to fulfill. Also, by relying on yourself, you can discover your strengths and weaknesses, face your fears, and test your limits. You can choose to spend time alone, engage with others, or even make lifelong friends. All decisions are yours to make when traveling alone. But that doesn’t mean you have to do all the planning on your own. Our job as your personal travel agency is to alleviate concerns, answer questions, and help you plan the perfect getaway. While there are many ways to travel, three of our most popular travel options are cruises, all-inclusive resorts, and group vacations. 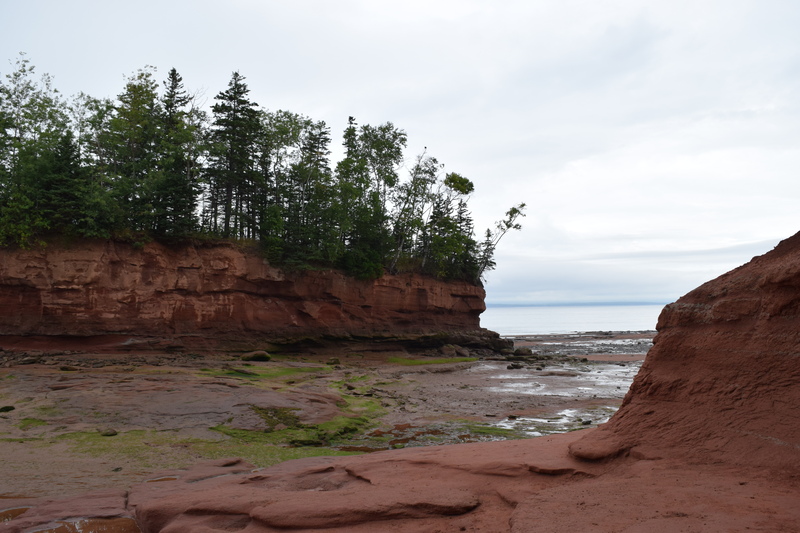 Each of these trips can be customized for those who want to travel by themselves. We will work with you to ensure your preferences are accommodated. 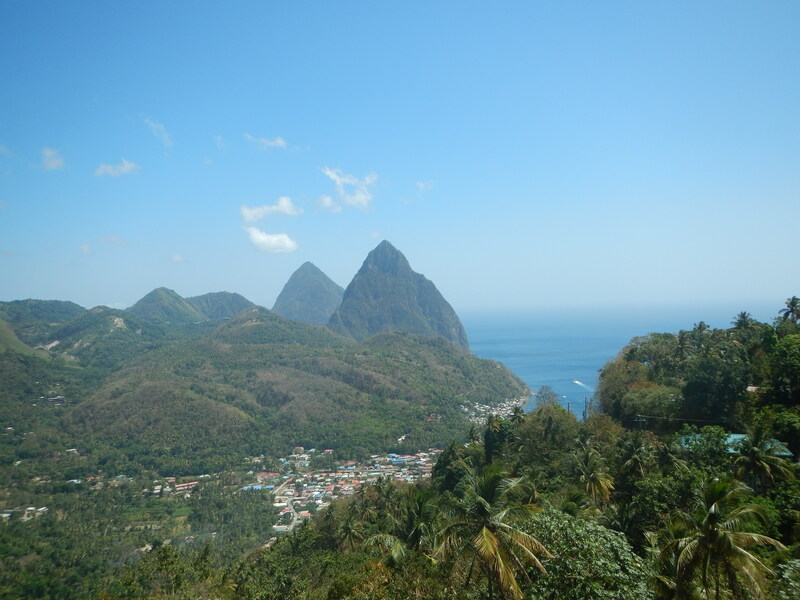 Cruises offer nearly endless options for single travelers, from simply enjoying a good book by the pool to joining in activities with fellow travelers. Most cruise lines assign dining room seating but, depending on your personal preference, we can request a specific table size. You can choose to sit at a larger table with many fellow travelers, or a smaller table with just a few people. If you prefer, you can even forego the main dining room; opting instead for specialty restaurants, room service, or the buffet. On most sites the cost of cabins is advertised as “per person”, but unfortunately that doesn’t mean the price for a person traveling alone. Cruise companies charge a “single supplement”, which means that a person traveling alone pays the same room price as those traveling with two people. For example, a cruise that is advertised as $999 per person plus $125 per person in taxes would be $2,248 for 2 people. $1,124 per person, multiplied by two people. With the single supplement, that same cruise would still be be $2,123. $1,124 for the first person, plus a $999 single supplement fee. However, there is one way to avoid this fee. Newer ships have studio cabins available for single travelers, which are smaller than a traditional room and can only sleep one person. These rooms do not charge the single supplement rate, but there are a limited number of them available. It may, in fact, actually be cheaper to book a two-person cabin. Regardless of room size, single travelers will never pay double for taxes, fees, or gratuities. We will research the difference in price and ensure you stay in the perfect cabin. There are countless all-inclusive resorts you can select from worldwide. Just like with a cruise, you can choose between spending quality time alone, getting to know new people at the resort, or even a little of both. 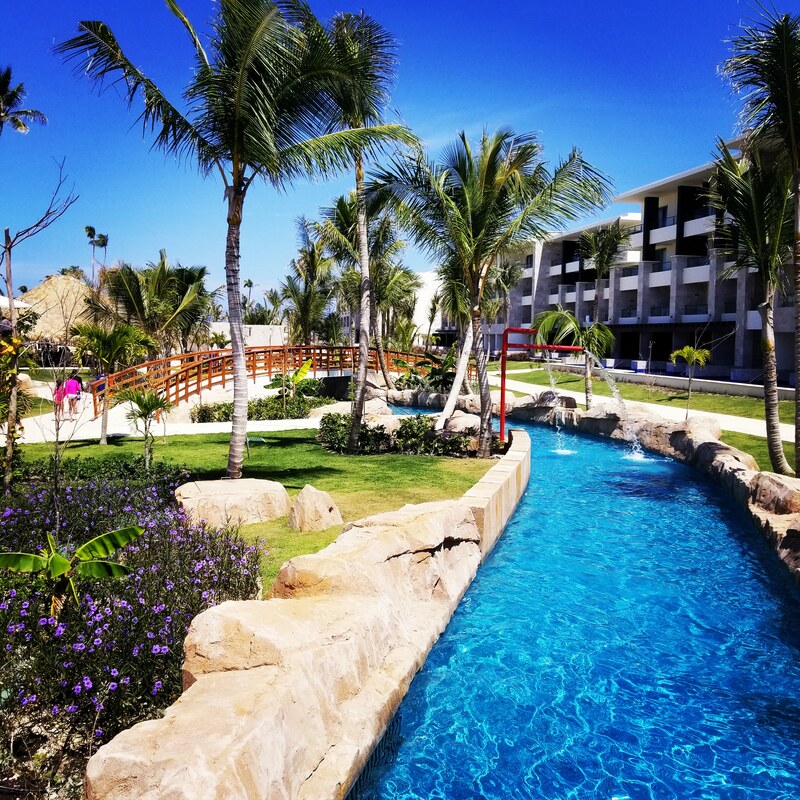 With your personal trip goals in mind, we will assist you in choosing the perfect resort at the location you want to visit. Our prices include airfare, which is charged per person, and never has a single supplement fee attached. The resorts themselves do charge a single supplement rate, just like the cruise lines. Unlike the cruise rates, however, it is more often less than double. One of the most popular options for single travelers are group led tours. 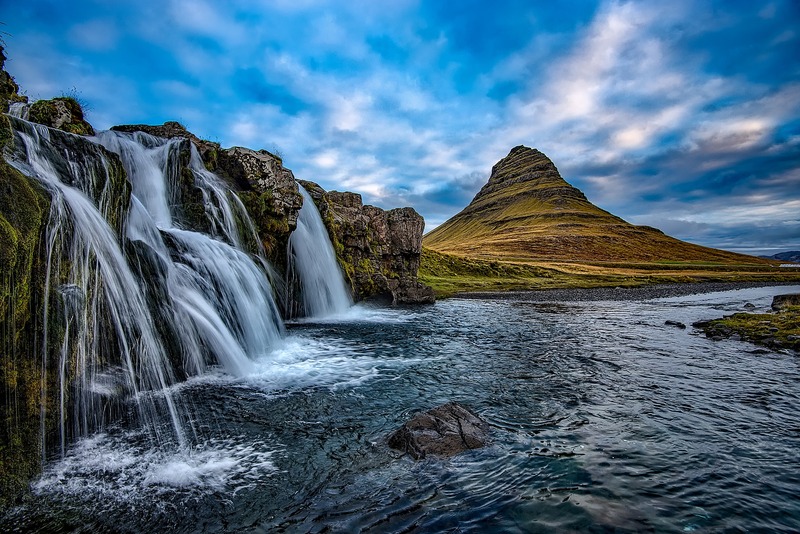 While these tours are available worldwide, some of the most popular are; Australia/New Zealand, China/Japan, Southeast Asia, Europe, and recently, Iceland. The amount of people on these tours can range from quite small (less than ten people) to very large. When planning a tour for you we will always share the typical group size to ensure that you are happy with your choice. Some of these tours do charge a single supplement, while others do not. 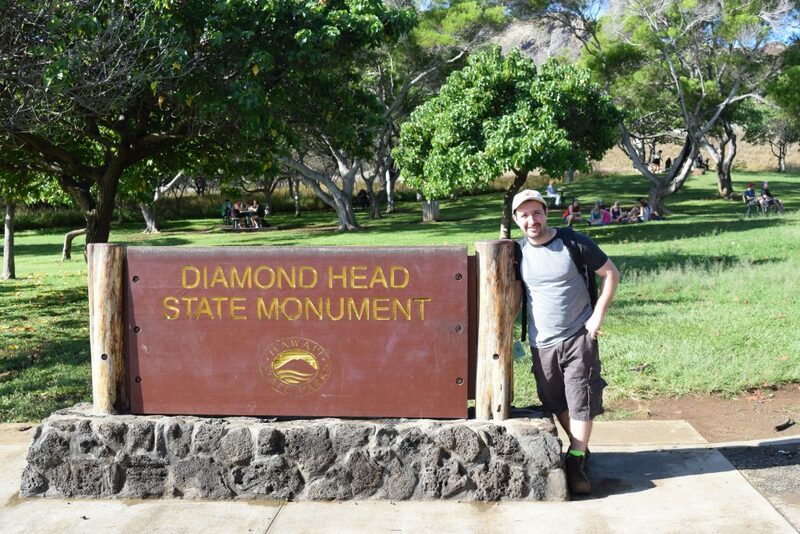 The tours include lodging, and most of the tour companies will assign single travelers a roommate. However, we can help you book a single, private room for an additional fee if you would prefer. With all the above variables in play, we can research all of the options available to assist you in booking the perfect tour. Cruises, all-inclusive resorts, and group tours all have much to offer those who wish to travel alone. Along with the perks of the trip itself, you may very well gain increased confidence in yourself and learn how to become more independent, all without the fear of being judged by a traveling companion. Also, opening yourself up to new experiences and people, expanding your thinking and views about other cultures and places, all at your own pace, are additional benefits that come from traveling alone. Just because you don’t have a travel partner doesn’t mean you can’t explore the world. Reach out today, and let us help you plan the perfect solo vacation today.